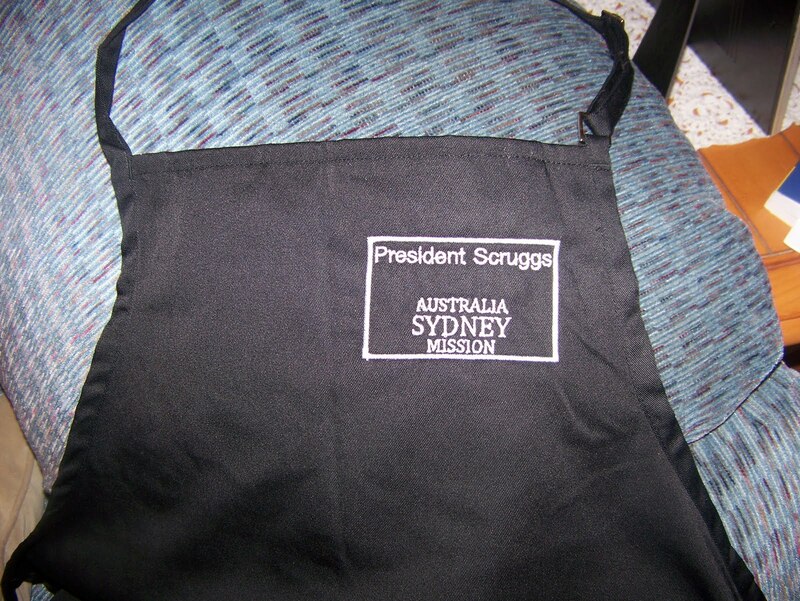 We would LOVE to see pictures of your MissionaryAprons in action. Send us a photo and we will post it on our website for all to see! President and Sister Brown from the Alpine German Speaking mission! 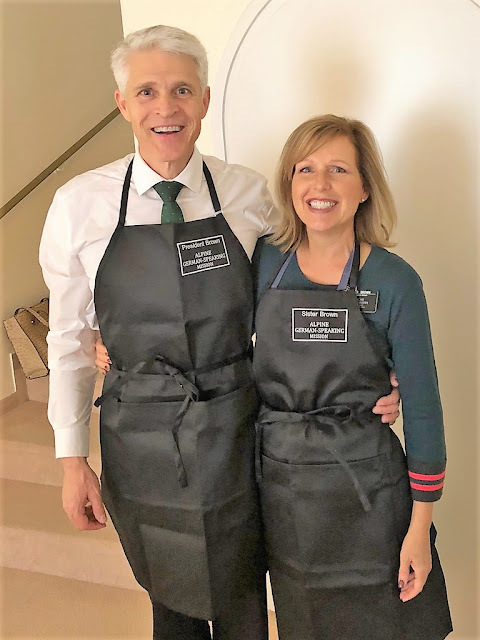 Below is a picture of my husband's parents with their missionary aprons. They served in the Rochester, New York mission and spent all their time in Buffalo. 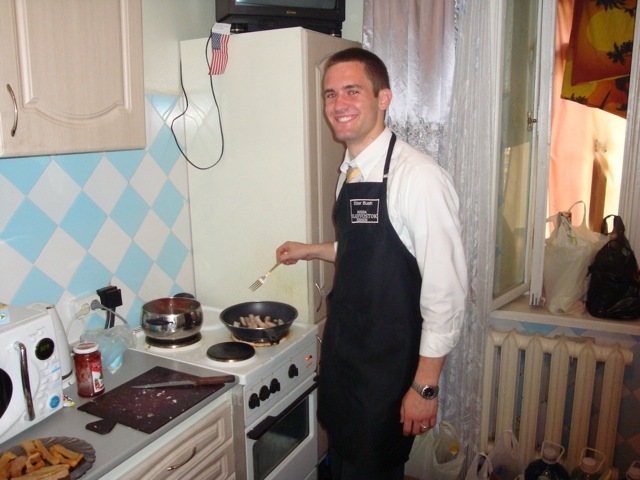 Senior missionaries in Barcelona Spain with their MissionaryAprons! 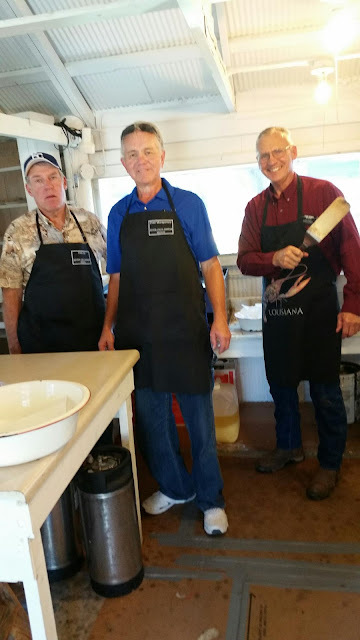 "Here are some pictures of my Elders wearing your darling aprons! 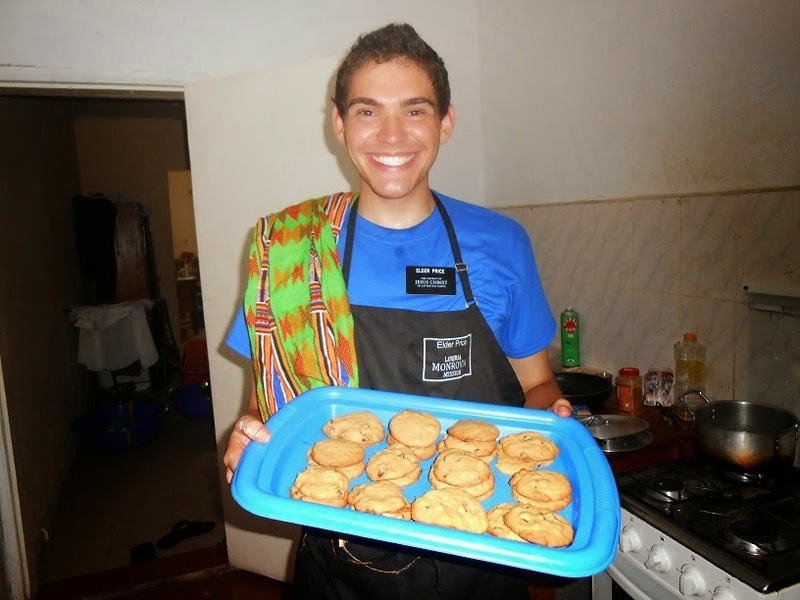 Elder Tyler Moser is serving in Scotland/Ireland, Chinese speaking mission and Elder Headman (holding pans) is serving in Mississippi, Jackson Mission! They are cousins that grew up together and are now serving 6 months apart!" "The apron made it for Elder Jackson's birthday!!!!!!!!!! 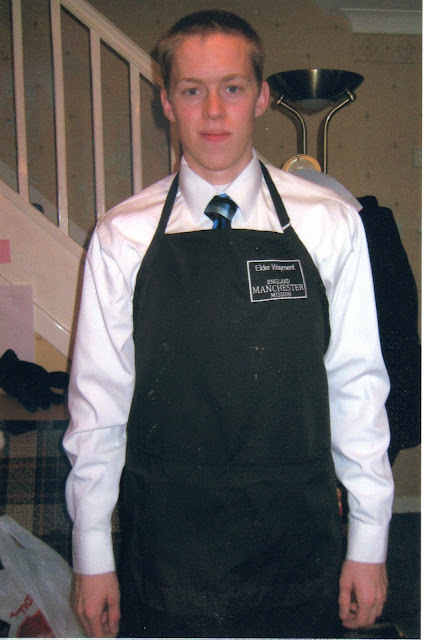 I can't thank you enough and the attached photo shows just how happy it made our Elder." "Just thought you'd like to see your handiwork in action. 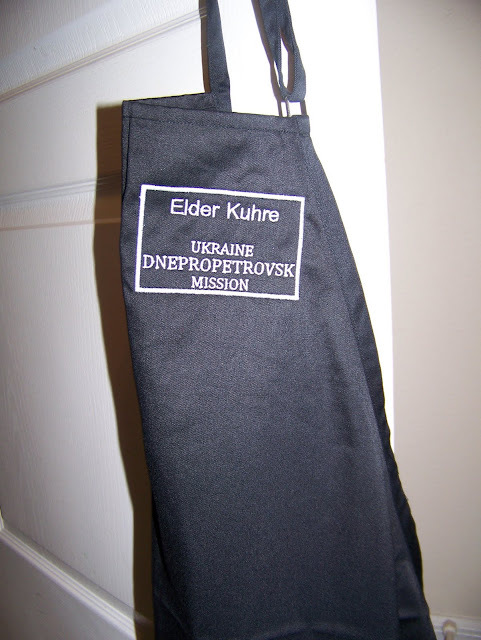 We just returned from our mission in Romania and used our aprons every week as we cooked for district meetings. 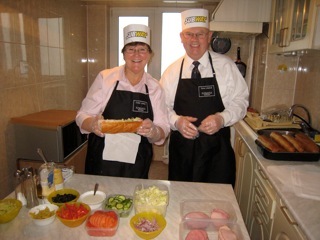 This time we treated our missionaries with a 'taste from home' Subway experience. We are now paying forward by buying our friends your aprons for their mission in Johannesburg. You are famous!" 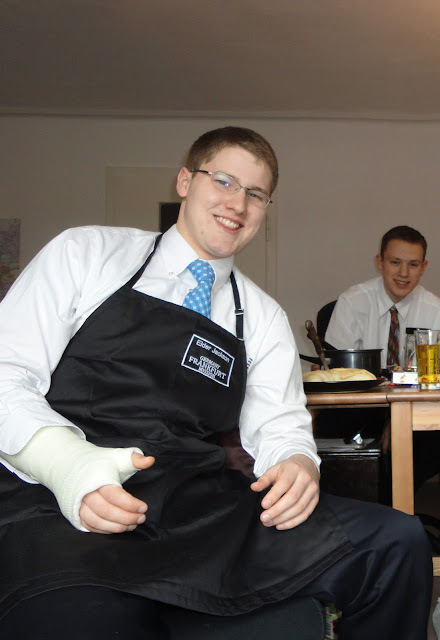 Here are two of our favorite missionaries who served in the Orlando, Florida mission. Our Friends, the Binghams, are currently the mission presidents in Chicago, Illinois! "Maiden voyage, first transfers!! 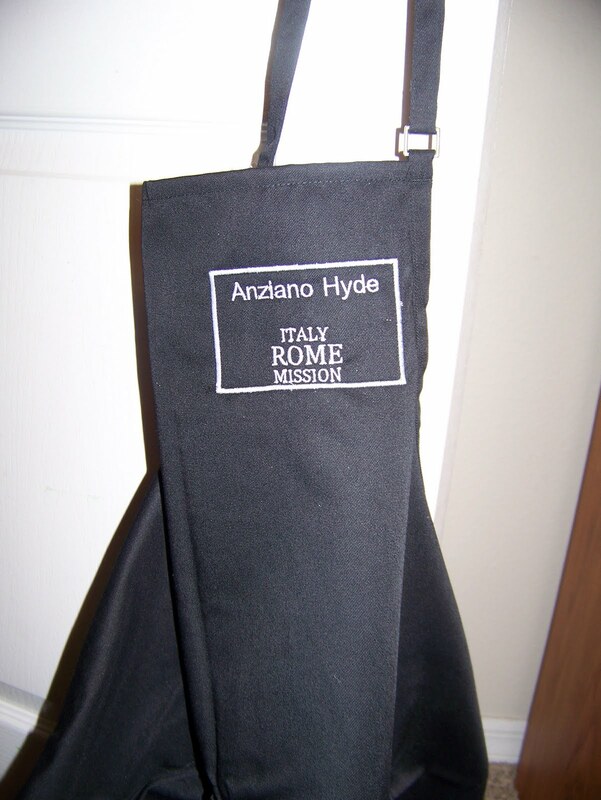 Gracias for the Aprons!" NEED MORE THAN ONE? 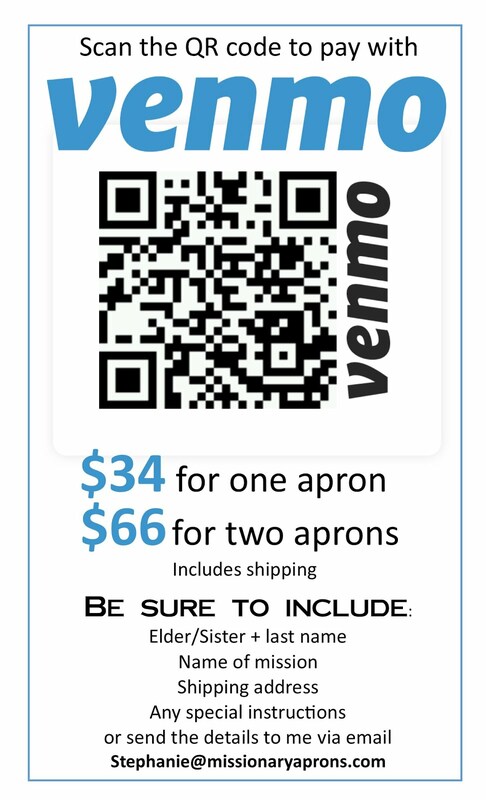 To order more than one apron, after you click "add to cart" just click on "continue shopping." Fill out the name/mission information for your second apron and click "add to cart" again. Shipping will be combined (see FAQ). INTERNATIONAL shipping starts at $12.95! (see FAQ for details). We usually ship within 5 business days from Utah.